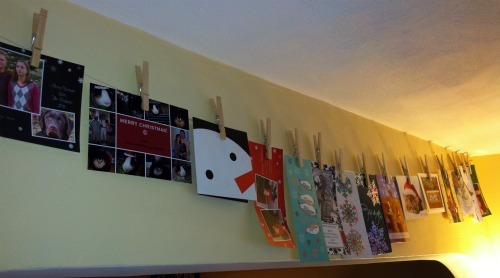 a clever way to display the christmas cards that you received this holiday. what to do with your old light bulbs. reindeer cookies made from upside down gingerbread cut outs. a cute penguin-themed appetizer for a winter party. amazing snow sculptures that put the average snow man to shame. a diy chalkboard mug to help you keep track of your hot chocolate. a fun midnight snack inspired by the new year's eve ball in times square. new year's eve themed ball drop cupcakes.